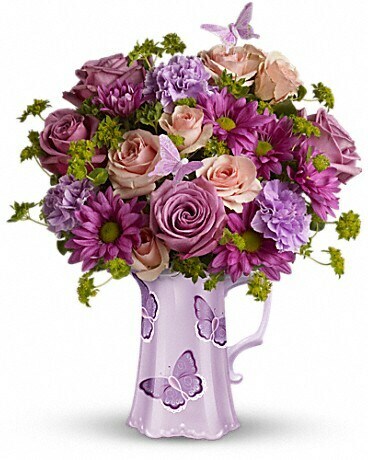 Your grandparents will fall in love with this charming gift of roses and other blooms in a stunning pitcher graced with lavender butterflies. This pitcher will be a special favorite ¬ because it's beautiful, and because it came from you. 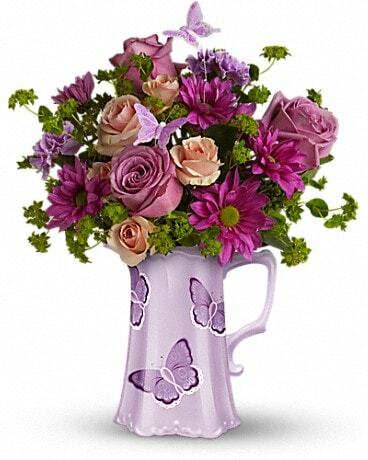 Put your love into flowers with lavender and pink roses and other favorites in a charming pitcher graced with butterflies. A beautiful gift for beautiful people. They'll love you even more. 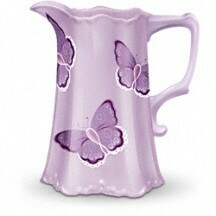 This exquisite ceramic pitcher with its lovely butterfly motif is from Teleflora's celebrated Flowers-in-a-Gift collection. 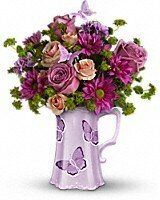 Beautiful with flowers, it also makes a charming container for milk and other beverages.